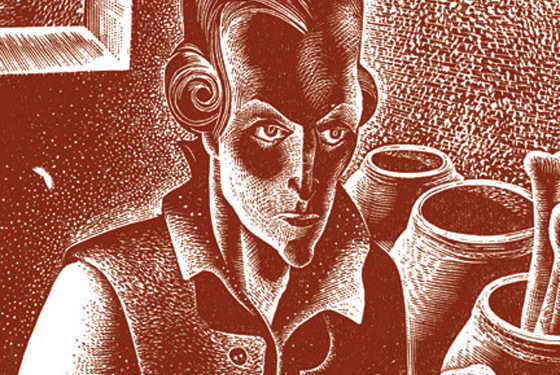 The best edition of Mary Shelley’s classic, with the celebrated wood engravings by Lynd Ward, which many agree are the finest Frankenstein illustrations ever published, appearing complete for the first time in over 70 years. Includes a new introduction by Patrick McGrath. Oversize, 8 × 12 inches, with head and tail bands and a ribbon marker, with a color frontispiece with a protective translucent sheet overlay. Bound in cloth with two-toned silk panels, and enclosed in a two-color cloth slipcase. This is part of our Gothics series and the books share the same spine typography, so they will look especially handsome on your bookshelf. The complete wood engravings by Lynd Ward. Ribbon marker, head and tail bands, printed front and rear panels, three-piece cloth construction.